Glastonbury is turning 45 this year but is still the hottest festival in the U.K. The mother of all British music festivals starts next week, with 135,000 revelers set to descend on Glastonbury for the five-day extravaganza. Tickets sold out in October in just 25 minutes, at £225 ($360) per person. That may sound steep, but the price of attendance can be many times that amount for those who want to live it up. Travel: A coach ticket from London to Glastonbury -- roughly a 135 mile drive -- will cost about £53 ($84) for a round trip. Dedicated Glasto-fans who fly into the U.K. from abroad will obviously be paying a heck of a lot more for flights. A-listers wanting to grab a helicopter to skip the festival traffic jams will have to pay around £860 ($1,370) per person for a flight from nearby Bristol. Accommodation: There are no hotel options here. 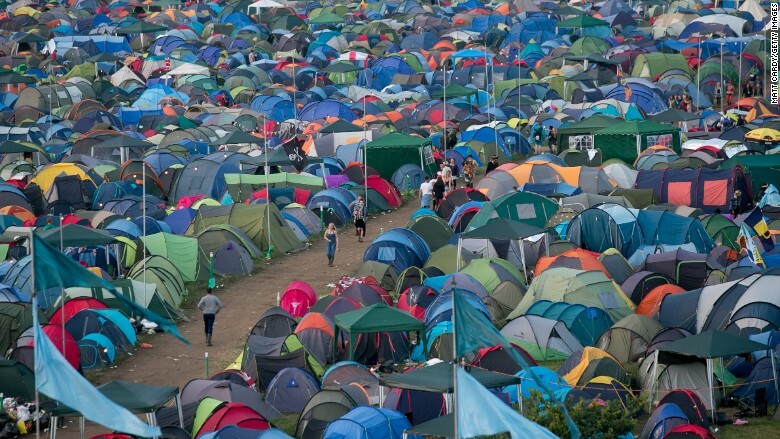 Everyone at Glastonbury has to camp. For those on a tight budget, a basic tent, sleeping bag and air mattress can cost as little as £55 ($87). Tents and camping are part of the Glastonbury tradition. Gear: Glastonbury organizers advise attendees to bring a reusable water bottle, sunscreen, toilet paper, wet wipes and condoms. Wise festival goers also know to bring a flashlight for nighttime bathroom trips and midnight excursions. And you'll probably want to bring it all in a sturdy backpack. If you buy everything yourself, you could probably get it for as little as £40 ($64). But splurging is always an option. 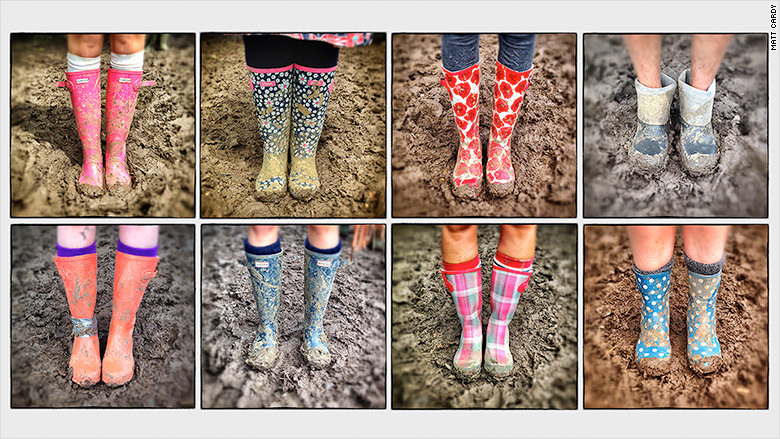 Clothing: Rain boots -- aka Wellies -- are a must at these British festivals, which are known for their rain and muck. A basic pair can cost as little at £10 ($16), while the trendy Hunter brand sells boots for as much as £175 ($280). Raincoats are also essential, and prices can vary widely. Many people also like to purchase special clothing and accessories for the event, including boho-chic tops, flowery head bands and face paint. 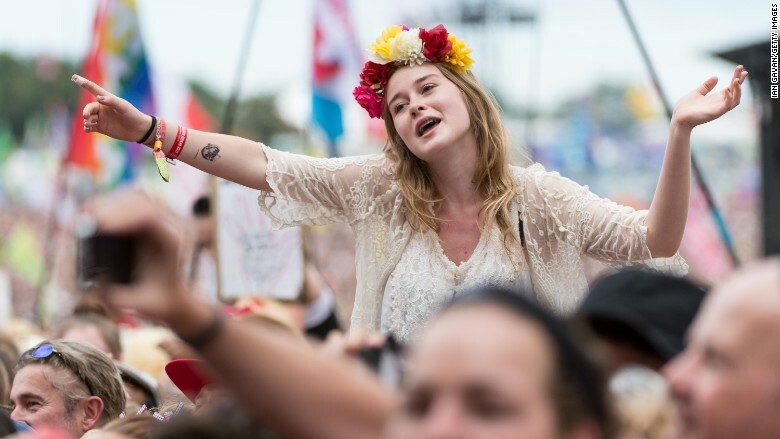 British stores stock up on these items during festival season so you can easily find a deal. Food and drink: Never underestimate the cost of food and beverages. Those on a budget will likely be stocking up on granola bars. Buying food at the festival can quickly add up. Four donuts sell for £4.50 ($7.15), or you can treat yourself to a lobster meal for £25 ($40). As for drinks, it all depends on how well you want to remember the festival! 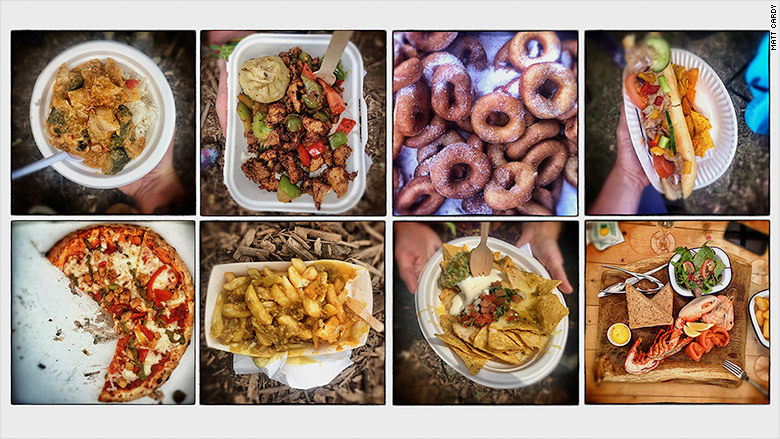 There's a wide range of food available at Glastonbury. 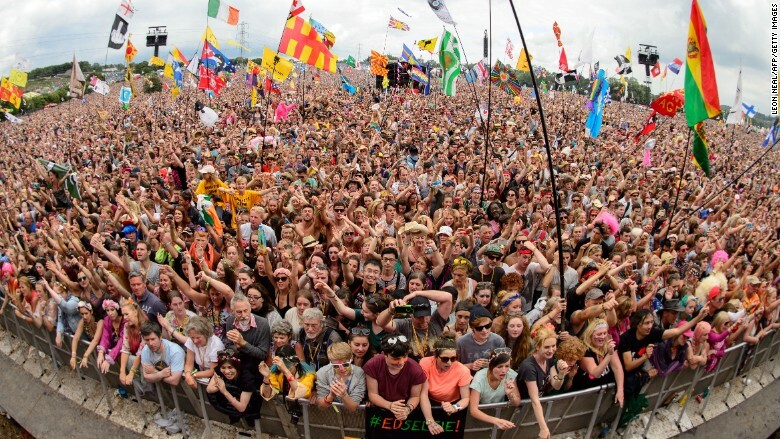 Once you add it all up, a trip to Glastonbury 2015 can give you sticker shock, with costs running into the thousands. It's especially painful when you compare it to 1970, when entrance to the first festival cost £1, which works out to £15 ($24) once you take inflation into account. Back then, the 1,500 festival goers enjoyed free milk from the local farm as part of their ticket.